Located at the crossroads between various academic disciplines and human needs, Takiwasi develops research projects, training, dissemination, protection of biodiversity, rescue of ancestral knowledge and sustainable local development. From there, it tries to build bridges between representatives of cultures, spiritualities, societies and diverse knowledge, with a spirit open to dialogue. Its experience in establishing bridges between Amazonian indigenous wisdom and modern Western knowledge, places the Center as a reference in the field of interculturality, applied to the resolution of mental health problems, especially addictions, and to the elaboration of proposals that aim to respond to the several existential and spiritual questionings of the modern human being. Takiwasi bases its innovative therapeutic model on the combination of the resources of conventional psychological and medical therapies with those of Amazonian Traditional Medicine. Therefore, the relationship with the indigenous world and the rescue and valuation of its knowledge has always been one of the pillars on which Takiwasi has been able to grow and develop. Every day this baggage of knowledge increases thanks to the constant contact with local healers and researchers or therapists. 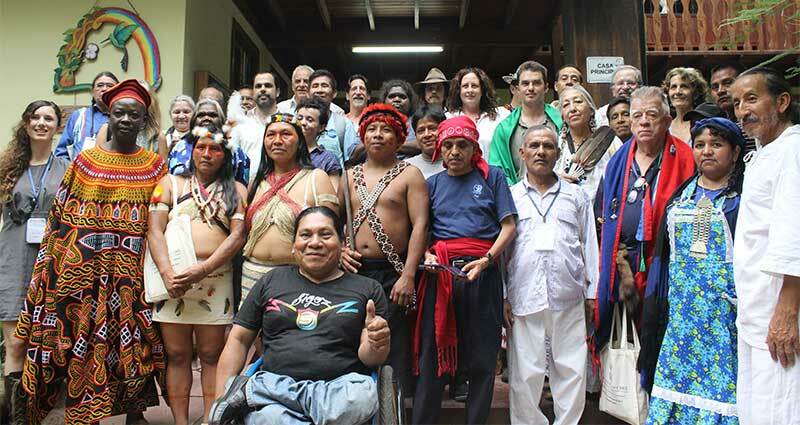 The Center maintains links with healers of different ethnicities; works together with indigenous communities to retain control over their ancestral knowledge related to the use of medicinal plants; actively participates in the revaluation of the indigenous culture, fostering spaces of exchange and organization that strengthen the indigenous movement, such as the recent VIII Forum of the Inter-American Council on Indigenous Spirituality (CISEI), in which Takiwasi participates as board member.